This year when San Francisco Bay comes alive with America's Cup, yacht owners and luxury yacht charterers will be part of the action like never before thanks to the first-ever America's Cup Superyacht Regatta. In addition to participating in their very own regatta during official Cup lay days, owners and their guests will enjoy a lively social program and highlighted by an owners' dinner held just outside of San Francisco in the Napa Valley wine region. Boat International Media and the America's Cup Superyacht Regatta organisers have partnered with Napa Valley, which is the official wine region of the 34th America's Cup. The esteemed Far Niente winery in Napa Valley, recognized as a benchmark producer of chardonnay and cabernet sauvignon from the region, will host the America's Cup Superyacht Regatta Owners' Dinner. A collection of the region's vinters will serve their best at the Owners' Dinner, complementing a six-Michelin star dining experience provided by four of the area's top restaurants: Restaurant Terra, Restaurant at Auberge du Soleil, Ta Toque and The French Laundry. 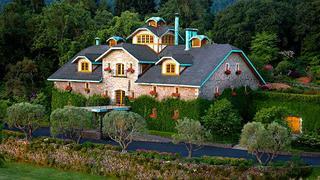 Round-trip transportation from San Francisco to Napa Valley will be provided. Yacht owners are invited to spend a night at a luxury hotel in Napa Valley before returning to the Bay the following day for the America's Cup Finals race 7, which kicks off at 1:10 p.m. Transport is also available for those who would like to return directly to San Fransisco after dinner.